We generate around 62 million tonnes of garbage annually out of which 45 million tonnes of garbage remain untreated that is a whopping 75%. Just in case you are wondering how much of waste is that then imagine 3 million trucks of untreated garbage. If these 3 million trucks were laid end to end then they would easily cover half the distance between the earth and the moon. Another big worry that India is currently grappling with is that around 31 million of waste is being sent directly to our landfills every year and all major landfills in India like Deonar in Mumbai, Ghazipur in Delhi and Kodungaiyur in Chennai, to name a few, are already functioning way-past their capacity and are over-flowing dreadfully. The funda is simple, the lesser waste you generate the less harm you do to the environment. 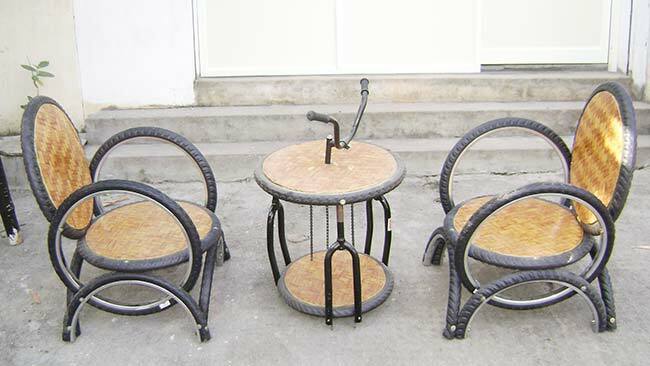 Obviously, you cannot reduce the waste completely, there comes the process of reusing and recycling. Start simply by reusing your trash, for example, don’t throw away the PET bottle you brought the other day from market, instead grow in house plants. Repurposing your household trash any day is a good way to reduce the already loaded garbage dump. Did you know there are many apps and start-ups that are helping in the process of reusing the products? Enter waste warriors like Amishi Shah from Mumbai who is upcycling/reusing vinyl records, VCR tapes and CDs into quirky and useful lifestyle products and Shikha Shah from Varanasi who is creating a market for upcycled goods in India and helping people move towards a zero-waste lifestyle. There are also many apps available online who are easily taking your waste and converting it into useful products, all you have to do is just click on the service and opt for recycling. Pom-pom, Karma Recycling to name a few. So, next time you decide to throw your waste, stop and think again! Still in India the practice of segregation of waste is uncommon, not many are aware and not much is being done by the government and local bodies to fix this ongoing issue. When waste is mixed together, it loses its value. Over 75% of the waste we generate is recyclable but we, in India, recycle just 30% and the rest is denounced to the landfills. If this situation continues, we will need a landfill almost as big as the city of Bengaluru to dump all our waste. The solution is simple – just adopt segregation. If you are confused, what needs to be done, here’s a simple solution, and just get dustbins of different colours and start throwing wet waste in one and dry waste in another. 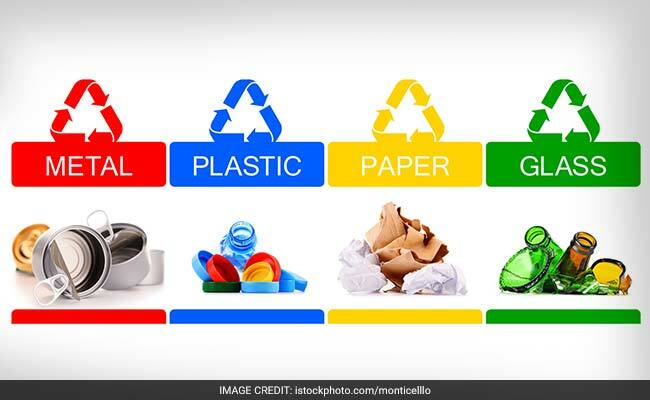 The Ministry of Urban Development has also recently issued guidelines to all states civic bodies in order to encourage source segregation of waste by introducing a two-bin system – wet waste in Green and dry waste in Blue. However, the two-bin system is yet to be implemented and standardised, as a conscious citizen you can start the segregation process at home and not wait for the government to implement the policies right away. Segregation of waste can also help in the process of composting which is nature’s way of recycling and is one of the simplest ways to manage your waste. Every product has some shelf life, but when it comes to plastics this law does not apply. Plastics cannot be degraded completely and many studies have shown that it takes around 500 to 1000 years for plastics to completely decompose itself. This is because of the presence of complex polymers in it. This boils down to the fact that till now whatever bit of plastic we have ever used or manufactured can be still found in some form or the other on the planet. Plastics are omnipresent so only way to deal with it is to reduce the usage of plastics and recycle. Enter innovations like edible cutlery that you can easily use in place of disposable cutlery. The cutlery is made of made of multigrains including wheat, rice, jowar and can be decomposed easily without effecting the environment. Another creative way is to upcycle the trash plastic products like PET bottles and use it as creative home décor pieces so as it does not ends up going into the landfills. Innovations apart, you can easily ditch plastic straws, pens, bottles and plastic bags. Choose to sip your drink instead, write with an old vintage ink pens and carry your own reusable bags and bottles. 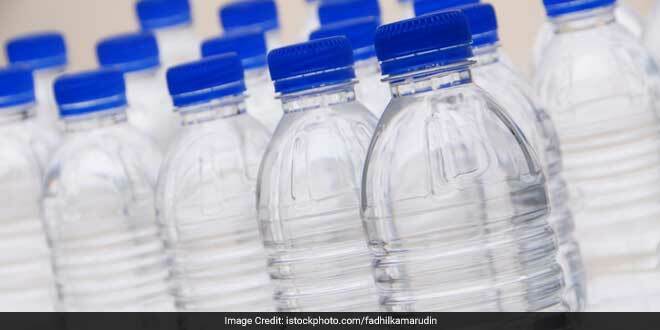 These small steps will help reduce a lot of plastic from our lives. Next time you see any waste littered around your locality or any other area, just don’t ignore, instead, report. Everyday issues like garbage piles, waste popping out of dustbins, water, and sanitation come under the direct purview of a city’s municipal corporation – your one call can solve a lot of the problems. With the power of social media and easy access to information online, reporting problems has become increasingly easy in most of the areas. 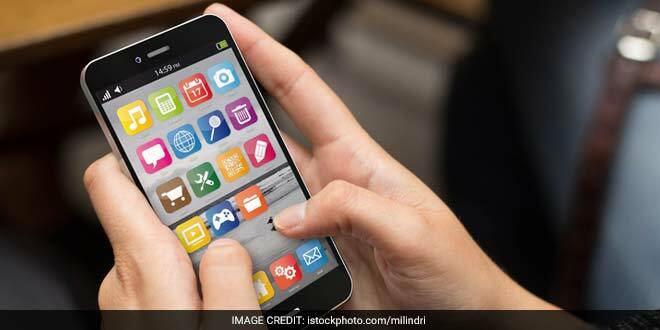 Lately, the government and local bodies have also launched many apps like Swachh Bharat Abhiyan, a city-specific civic app to name a few. All you have to do is just download the particular apps and start reporting. Your small actions at an individual level can make a big mark on the environment. Take for example, the recent mega beach clean-up in Mumbau – the Versova beach. Located in north-western Mumbai, Versova was one of the dirtiest beaches of the city until now when the locals decided to clean up the filth. 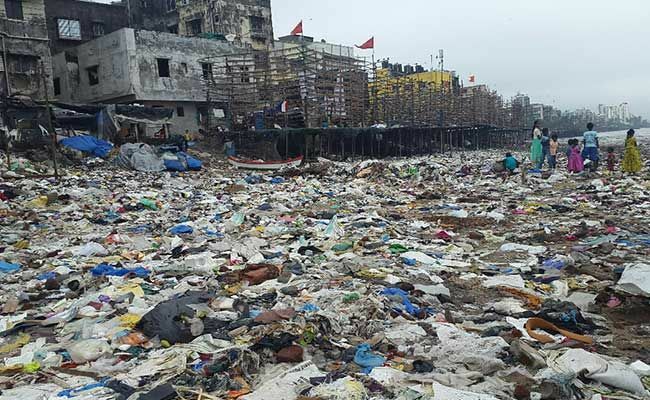 In 85 weeks, around five million kilograms of plastic and filth was removed with the help of the Brihanmumbai Municipal Corporation or BMC and citizens and the beach underwent a massive makeover. Pick a small garbage spot in your surroundings and start cleaning it up – involve your friends and the community. Previous Post: Production Team Goes Plastic-Free For Shoots.